Originally published in hardback in 2005, my first novel Calling is now available as an ebook thanks to Otto Penzler and the folks at MysteriousPress.com/Open Road Integrated Media. I recently talked about the novel and other things with Gef Fox on his blog in this new interview. "Calling is a powerful novel, one that features two men from the South—both much damaged by heredity and experience. Ezekiel Blizzard Jr. and Timber Goodman seem to be cut from different fabrics, but they ultimately understand how much they share. They meet on a long bus trip between Las Vegas and Salt Lake City. 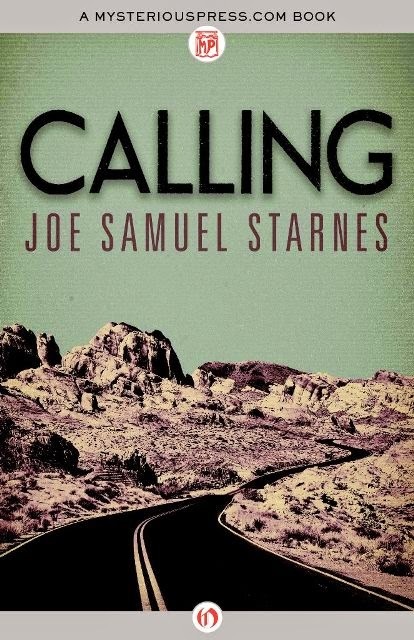 Starnes’s adept use of the journey motif and a colloquy between the two provide apt vehicles for this novel of personal disclosure, tragedy and tentative redemption for at least one of the men. The influence of Larry Brown, to whom Starnes dedicated the novel, is apparent in Starnes’s concern with the perennial struggle between good and evil. Zeke Blizzard also shares much with several of Flannery O’Connor’s ruined preachers, most notably Asa Hawks in Wise Blood."